The ATB Financial Lethbridge Rotary Dragon Boat Festival was started by members of the Lethbridge community through their involvement with local Rotary Clubs. This festival stands testament to the amazing work that can be done when community members come together to serve their community. 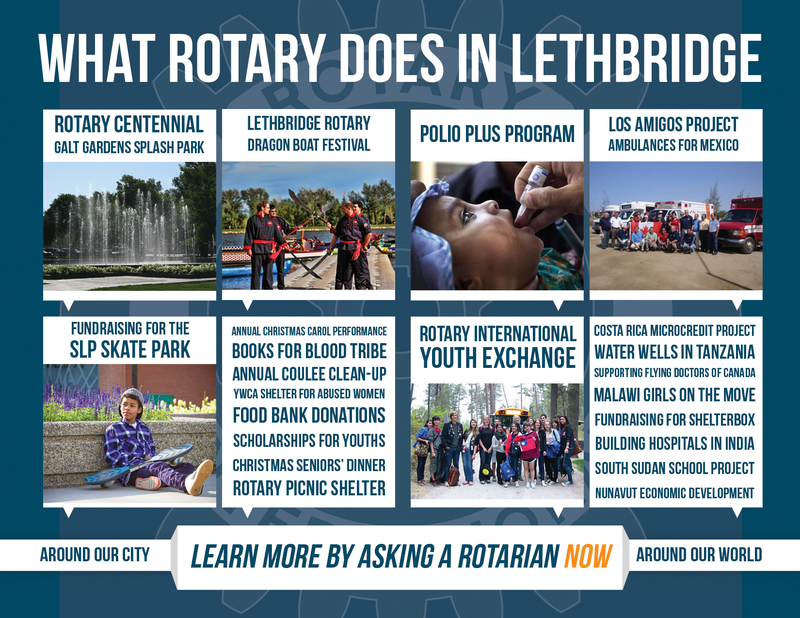 Lethbridge has had Rotary clubs for about a century, and the impact they have had can be seen all around town. While you’re at the Dragon Boat Festival, be sure to stop by the nearest community projects, the Henderson Lake Pool and the SLP Skate Park at the intersection of Mayor Magrath Drive and Parkside Drive, just west of the festival grounds.